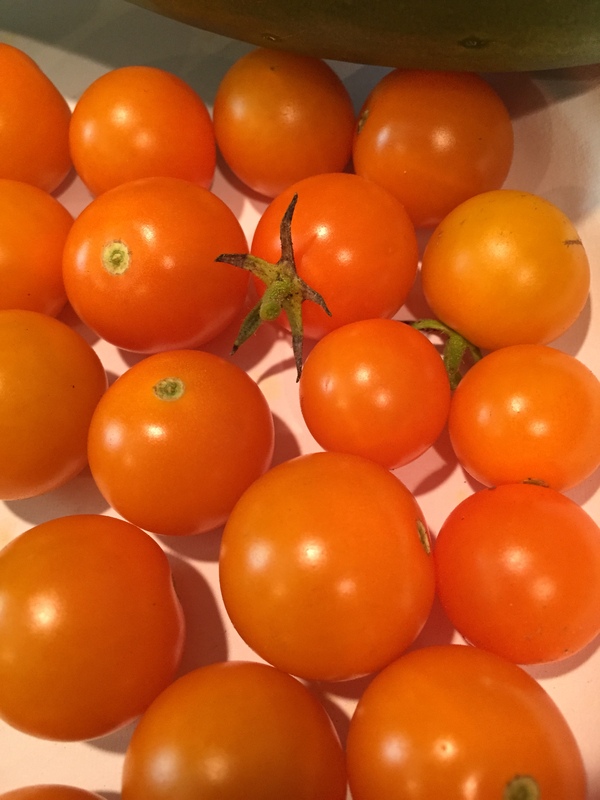 Well – not cherries exactly, more like sun gold cherry tomatoes! Almost two dozen of them, beautifully ripe and really sweet! We’re moving right along in week 12! 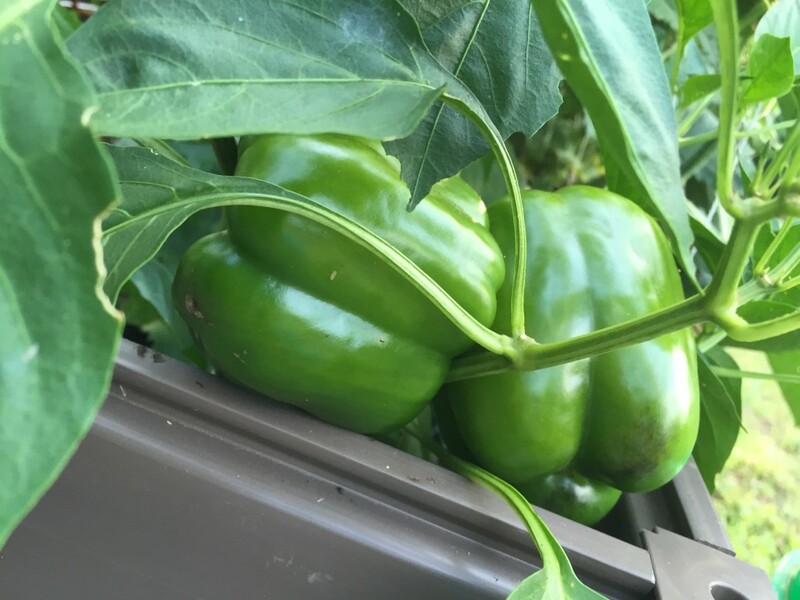 It was also time for cubanelle peppers. 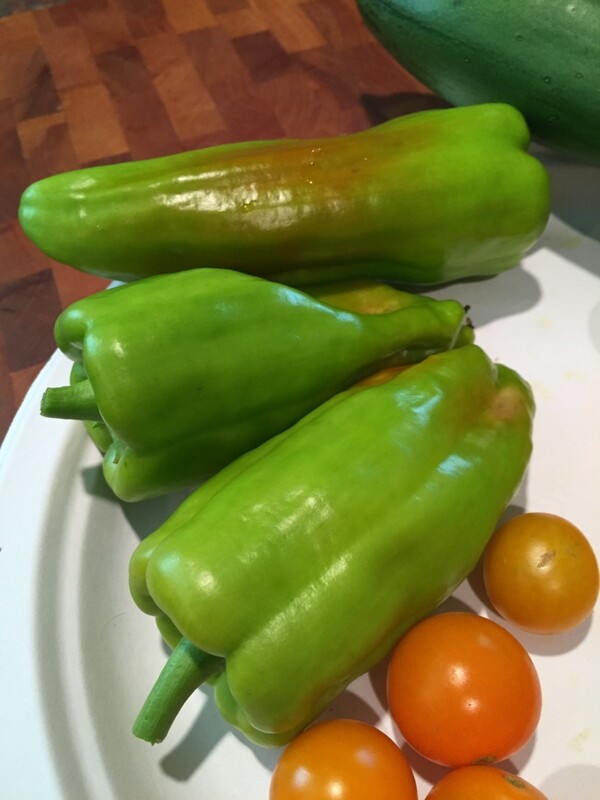 We picked the first three and they were delicious – we made a pepper/tomato/cucumber salad – all with home grown produce! 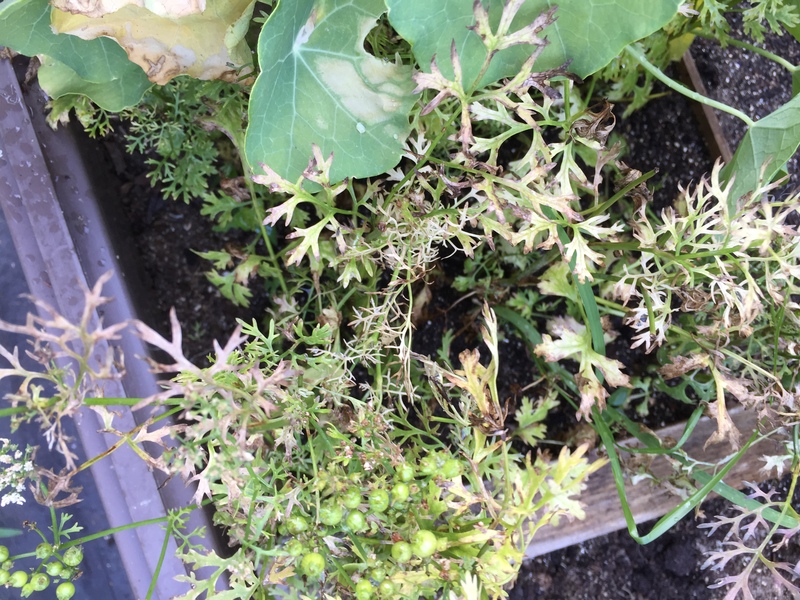 And here’s the spent cilantro. Just too hot to keep up, but now we’ll have coriander seed to cook with! 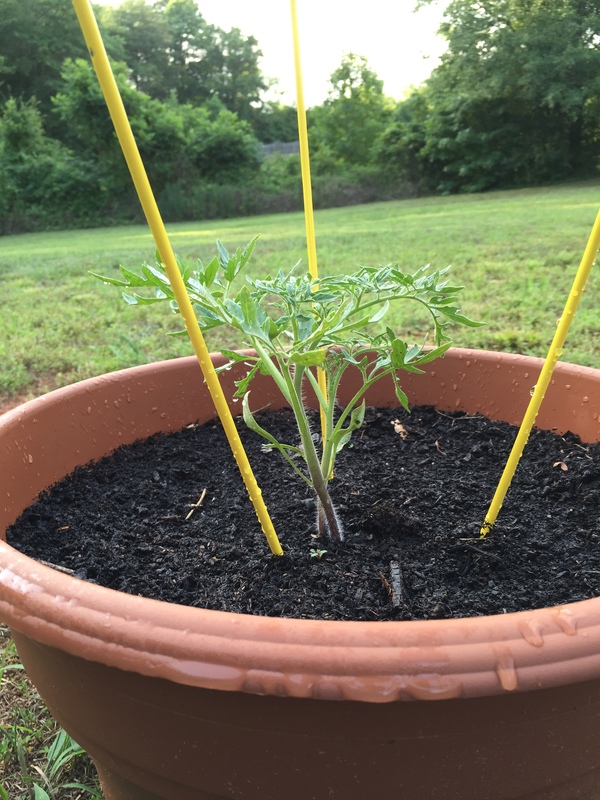 On the tomato front, the Silvery Firs are doing very well in their pot and the Hillbilly and Mr. Stripeys are getting huge! We’re not replanting empty squares right now because it’s been over 90 degrees for over a week. Very hot. So hot that we’re watering nightly with the hose instead of a cup. I don’t want anything to wilt up and die! Since the soil drains very well, I’m not really worried about over watering. 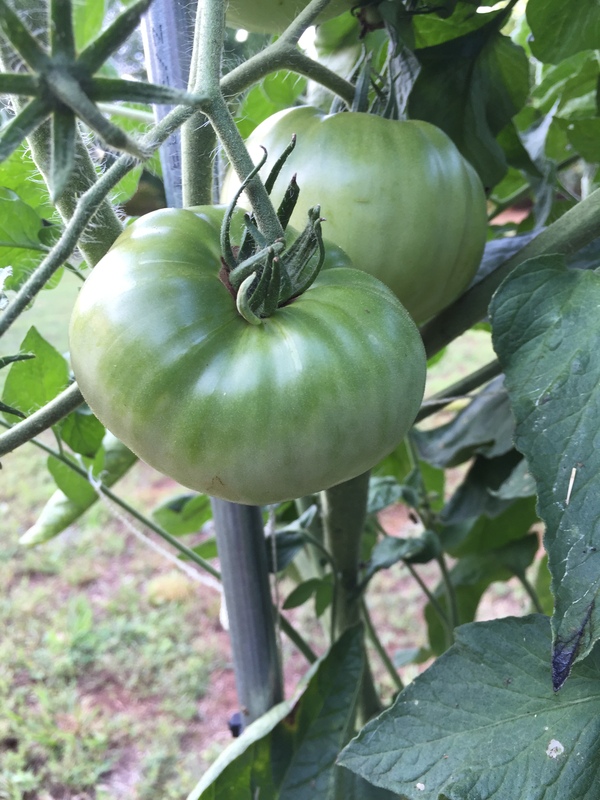 We’re hopeful that some of the Hillbillys will ripen this week. Stay tuned! Welcome! Follow along with me as I try gardening for the first time! 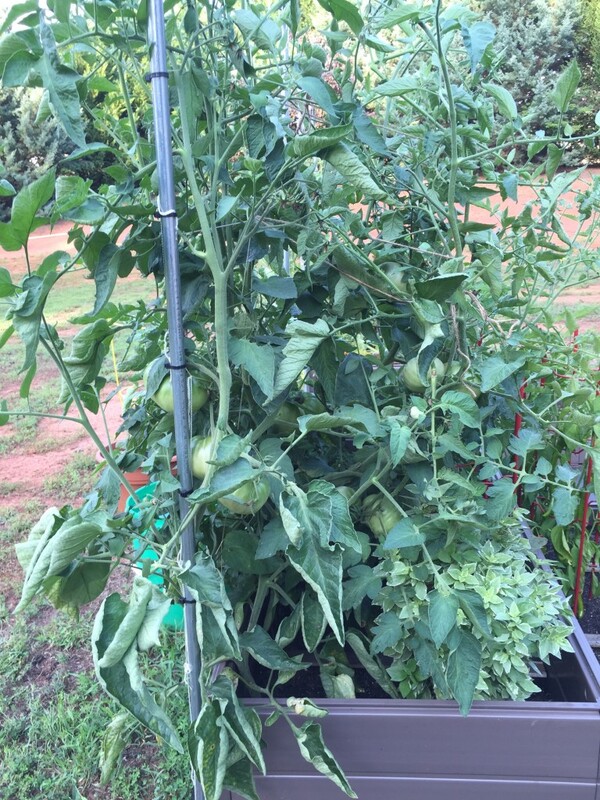 My grandfather and mother are both amazing gardeners who could grow anything. Grapefruit, oranges, lemons, tomatoes, peppers, avocados, flowers, figs, mangoes, papayas – nothing seemed to wither on the vine. Then there is me. I’ve never had success with plants, but that is going to change this summer! The picture above is what I see in my mind. I’m hoping that my kitchen counter will look like this. (OK, not the mushrooms, but you get the idea). I intend to detail the journey here on a weekly basis. We’ll have to wait to see how my garden grows. Hope you stick around!